The classic product lifecycle that all of us had drilled into our heads in business school tells us that at the three-year mark for any new product, it’s top of the S-curve or bust. Here’s a walk down S-curve memory lane, courtesy of a Harvard Business School (HBS) article written by economist, marketing sciences expert and HBS professor, the late Theodore Levitt. Now, three years plus four months after the launch of the first general purpose mobile wallet to hit the market — Apple Pay — we thought it was time to see how well it, and the other Pays that followed, have fared on this S-curve test. We used our latest mobile adoption study as our starting point. This consumer study of active mobile wallet users is something we’ve done each quarter in collaboration with InfoScout ever since Apple Pay’s launch in Oct. 2014. You might recall that we ask consumers with smartphones that (a) are compatible with one of the four mobile wallets we track and (b) who just bought something at a store that accepts one of those four mobile wallets to tell us (c) why they did or didn’t use that mobile wallet to make the purchase they just made. In other words, we observed what people actually did and then asked them why they did it. Each quarter, we survey roughly 2,000 consumers for each type of wallet for a sample total of roughly 8,000 consumers. What we’ve learned is that Apple Pay’s adoption since its launch in Oct. 2014 looks more like a flat line than an S-curve. In fact, the overall growth in Apple Pay transactions is almost certainly the result of more merchants installing near-field communication (NFC) terminals than iPhone users getting more interested in Apple Pay itself. Meanwhile, Walmart Pay looks more like it could be on an S-curve and, at least given what it’s designed to do — pay at Walmart — could possibly be on the path to success within the Walmart universe. Today, most people in the U.S. have a smartphone capable of activating and using a mobile wallet. Of the 195 million adults (18 or older) in the U.S., 77.1 percent own a smartphone. Apple and Samsung, together, as handset makers, have about 70 percent of the U.S. market for smartphones — Apple with 43.5 percent and Samsung with 29.5. Android, as an operating system, has a 52 percent share of smartphones, with iOS having 43.5 percent. When looking at those percentages as a percentage of all adults — not just those with smartphones — the numbers are 33 percent (for Apple), 22.8 percent (for Samsung) and 40 percent (for Android). These figures are really important to keep in mind when comparing how well these wallets are doing across all smartphone users and adults in this country. We’re also at a point in time where acceptance for NFC-enabled wallets has grown quite a bit as a result of a liability shift by card networks and merchants installing new terminals capable of enabling contactless payments. On Apple’s last earnings call, CEO Tim Cook said Apple Pay is now accepted at more than half of all U.S. retail locations, including two-thirds of the top 100 retailers. We haven’t audited that yet, but let’s take it as a given for this piece. Last quarter’s results — which are based on a survey done with InfoScout at the end of Christmas — reflected a bit of good news for the “Pays.” Call it the booming economy, the Christmas effect, a statistical aberration or a take-off — good news is still better than bad news. The percentage of smartphone users who’ve tried the “Pays” has inched up. Emphasis on the word inch, since most of these upticks are quite small, and they may not be statistically distinguishable from the earlier results. We timed our study last quarter to look at consumer behavior during the holiday season, post-Christmas and on the run-up to New Year’s Day. We did that to observe the impact of the holidays on trial and usage. Smartphones tend to find their way under the Christmas tree, and 2017 was a banner year for smartphone gifting. That’s why we weren’t too surprised when more people tried mobile wallets right after Christmas, particularly since consumers are also more exposed to advertisements about activating them and people have the time and interest to take their new phones out for a test drive. 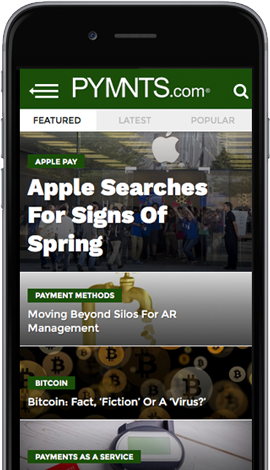 Smartphone users with iPhones who activated and tried Apple Pay stood at 29.4 percent, (up from 24.8 percent the previous quarter), 17.2 percent for Samsung handset users who activated and tried Samsung Pay (up from 13.9 percent the previous quarter), 13.3 for Android phone users who activated and tried Android Pay (up 11.0 percent from the prior quarter) and 24.8 percent for any smartphone user who activated and tried Walmart Pay (up from 23.3 the previous quarter). Remember, a trial for these mobile wallets takes place at a store where they’re accepted so users can actually use them. Now, putting on my Scrooge hat, I should note a preponderance of smartphone users haven’t even tried using a mobile wallet. More than 70 percent of iPhone users still haven’t tried Apple Pay about 40 months after launch. Still, even slightly better is better than worse. Of smartphone users who’ve installed mobile wallets and were at a store where they could use it, the percentage who used it at that retailer inched up a tiny bit too. For each wallet, we did the following calculations: the people who had that wallet installed, were at a store that accepted it and who used it for the last transaction they made at that store. In December, 23.1 percent of Apple Pay users (up from 22.9 percent) used it for their last transaction at a store where they could use it. Just to be clear here, that means 29.4 percent of people have activated and tried Apple Pay, and of those people, 23.1 percent used it the last time they bought something at a place that accepted Apple Pay. Samsung Pay’s usage was 26.8 percent of Samsung Pay users (up from 21.8 percent); Android Pay was 17.3 percent of Android Pay users (up from 15.6 percent) and Walmart Pay was 23.7 of Walmart Pay users (down from 25.6 percent). All in all, this suggests consumers who had bothered to install one of the “Pays” weren’t much more interested in using it in December than they were last quarter. To compare the mobile wallets, and to determine whether they’re on an S-curve, we need to have a — no pun intended — apples-to-apples comparison. That means looking at things across all smartphone users — not just on a particular hardware platform or operating system. Doing this takes into account the growth in the number of smartphone users who have the relevant handset or operating system or application and are using a mobile wallet. Walmart Pay looks like it could be on an S-curve trajectory so long as we judge it for what it is: a mobile wallet designed to be used only at Walmart stores. The percentage of smartphone users who’ve set up Walmart Pay and who used it for their last transaction — at a Walmart, of course — has increased from 3.3 percent of all smartphone users in March 2017 to 5.9 percent in Dec. 2017, as you see in Figure 2. The almost doubling between March 2017 and Sept. 2017 suggests an S-curve. If December 2017 is an aberration — maybe Walmart shoppers were tapped out at the end of December and began using cash — and growth continues, then this could be a growth story, particularly since Walmart isn’t even two years into its product launch. Today, 25 percent of adult smartphone users have set up and used Walmart Pay at least once — and nearly 6 percent (5.9 percent) of smartphone users used it in December to make a purchase in a Walmart store. What Walmart may lack in total number of merchant locations in the U.S. — Walmart Pay can only be used at Walmart — it makes up for in the larger universe of smartphone users who can access and use it and who are apparently motivated to do so. Of course, it’s also possible Walmart Pay could stall. But, in this class, not failing the midterm is actually pretty good. Samsung Pay might have some momentum building that, unlike Apple Pay, likely wasn’t fueled by the holiday smartphone sales effect. More ubiquitous acceptance, and its broad-based Rewards program, could have accounted for its uptick in usage. Sorry, but Apple Pay flunks the S-curve test. Now, nearly 40 months on the market — four months after the three years that product launches generally show themselves to be successes or failures — the adoption curve of Apple Pay isn’t a curve. It’s had its ups and downs but it’s essentially flat. The percentage of smartphone users who used Apple Pay for their last transaction at a place where they could have has changed from 1.9 percent at launch to 2.6 percent in March 2015 to 3.0 percent in December 2017, with some ups and downs in between. Based on our study, there’s no evidence, therefore, that iPhone users are getting more — or less — enamored with Apple Pay. Of course, it’s possible that at 40 months the blip upward in Dec. 2017 reflects some sort of delayed inflection point. My guess: It has more to do with the recent launch of new iPhones and new device activations over Christmas. The bump primarily came from more people trying Apple Pay for the first time rather than existing Apple Pay consumers using it more often. Whether Apple Pay is a very late bloomer when it comes to the S-curve will be seen from how it does in future quarters. But the fact that only 17 percent of people who have installed Apple Pay say they use it every chance they get doesn’t stoke optimism. Now, this isn’t all bad news. Apple transactions are increasing because there are a lot more places where people can use Apple Pay. But that growth is the result of merchants adopting NFC terminals — not from iPhone users becoming more in love with the product. And that will eventually taper out. For Apple Pay to get its S-curve in motion, iPhone users will need to learn to love Apple Pay. Yes, but, you say, they will, since Apple Pay can be used at many more locations than just at Walmart stores. Over time, Apple Pay will drive more sales, more adoption and usage. Walmart only accounts for 7.3 percent of all U.S. sales; by the numbers, Apple Pay’s merchant base accounts for much more than that. But it’s not hard to see why Walmart is ahead when it comes to people who’ve installed it wanting to use it. They probably visit Walmart every week (or maybe more) to buy groceries and other items for their family. And we know that frequency drives habituation. The wallet also does more than just initiate payment. Walmart Pay solves for things other than checking out. It automatically applies savings and discounts for its users when they’re checking out and makes returns simple by managing purchases both online and offline. More value equals more usage. Tim Cook told shareholders a few weeks back that he wasn’t thrilled with Apple Pay’s progress, and if you had told him three-plus years ago that this is where they’d be, he wouldn’t have believed it. It’s the first time anyone from Apple, particularly Tim Cook, has ever hinted that things were less than terrific and fantastic in the land of Apple Pay. That’s because the folks back home in Cupertino are looking at the same data we are — and are comparing it to the S-curves of products past and present — at the three-year mark. Take a look at the growth of the iPhone, iPad and iPod in its first three years. The iPod, on this chart, looks puny only because of the scale of the chart. The iPod went from selling 125,000 units in Dec. 2001 to 10 million by the end of Dec. 2004. S-curves in abundance. Then, there are Apple Music subscribers. After a rocky start in 2015, Apple Music is on the upswing — and hoping the release of the HomePod will juice those numbers even more. It’s also been reported a new set of AirPods is on the product release schedule too, with hopes for the same result on the Apple Music subscriber front. If you want to know why Apple doesn’t release anything more specific about Apple Pay than the fact that it’s doubling and tripling its non-specific user numbers, perhaps this might explain it. There isn’t an S-curve — not even really the glimmer of one — and finding it now looks really hard. I wrote at Apple Pay’s launch that as great as Apple Pay may do on iPhones, it will only ever have a share of the population that owns an iPhone. That puts Apple Pay, and any of Apple’s services, at risk. But a utility as important as a mobile wallet has to follow the user wherever she goes, and that, increasingly, is across devices, operating systems and channels. People with iPhones use Walmart Pay. They use Amazon Pay too. And, increasingly, people with every other Pay will be able to use it on iPhones too. I don’t know this for a fact, but I would surmise that renaming Android Pay to Google Pay had something to do with breaking the mental association consumers may have had with where they could use Google to pay for things. That now includes Chrome, which is a mobile app on the iPhone, and Google Shopping when searches for products on Safari are found. I suspect there will be other Pay plays soon that will make this cross-platform, cross-operating systems point further. Unfortunately, for Apple Pay, that doesn’t work in reverse. You can’t use Apple Pay at Walmart, and you probably never will. You can’t use Apple Pay with Amazon Pay, and you probably never will. You can’t use Apple Pay with voice assistants like Google or Alexa. And it’s likely to be a cold day in you-know-where before you’ll be able to use Apple Pay on Samsung handsets. Apple Pay’s S-curve, then, will be shaped largely by itself — totally dependent upon a handset that doesn’t prevent consumers from using any other mobile wallet. And without a clear reason why they shouldn’t. Click here for the charts and graphs detailing the latest PYMNTS/InfoScout mobile wallet adoption results, as well as the history since each mobile wallet’s launch.